The classic among drive belts due to its universal use in industrial power transmission applications. 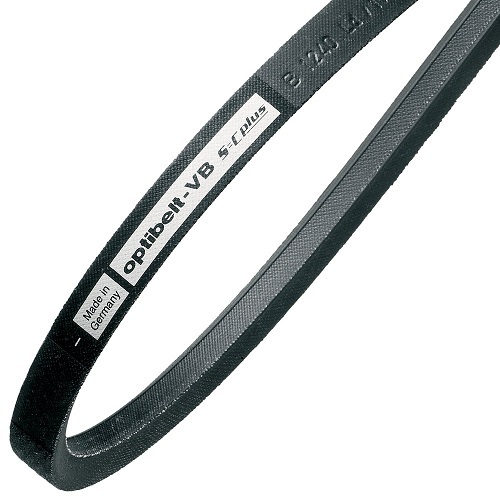 OPTIBELT's superior construction and manufacturing processes make the VB the preferred choice for companies looking for superior performance and lower maintenance costs over standard v-belts. DURABILITY: Rubber impregnated fabric wrap is bonded with the belt’s core for superior durability. MATCHED SETS: S=C Plus manufacturing tolerances ensure every belt is closer than industry length standards for a matched-set belt, regardless of date manufactured.